What’s in your inbox? Are you using all of the tools at your fingertips to deliver accurate rate quotes to any and all customers in your pipeline? Arming folks with your brand and your data will only affect your referral business in a positive way. Bottom line: RateTracker and Email Campaigns work. Don’t forget your shopping list. 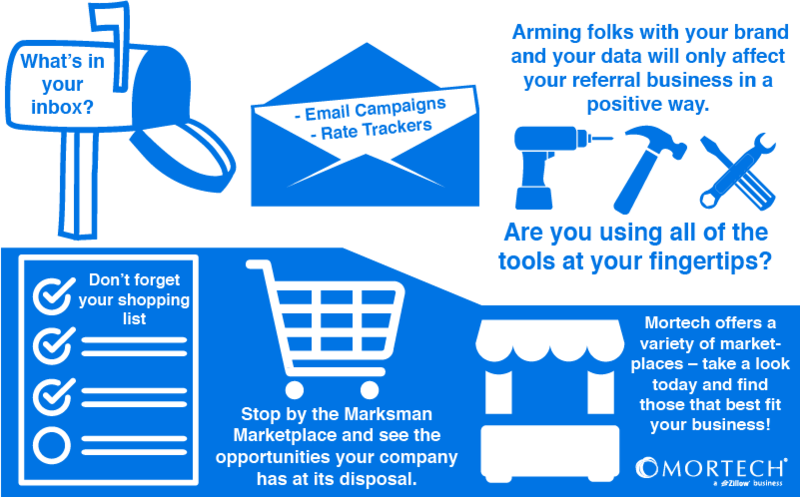 Stop by the Marksman Marketplace and see the many opportunities your company has at its disposal. Mortech offers a variety of marketplaces – take a look today and find those that best fit your business!